Mysterious Archives - HexByte Inc. But despite adjusting firewall settings for over 100,000 users, Alexey says that only 50 users reached out via Telegram. A few said “thanks,” but most were outraged. The vigilante server administrator says he’s been only fixing routers that have not been patched by their owners against a MikroTik vulnerability that came to light in late April. At the time, the vulnerability (known as CVE-2018-14847) was a zero-day, but MikroTik rolled out a fix in record time. Nonetheless, cyber-criminals quickly jumped on board to exploit the flaw. CVE-2018-14847 is a very convenient vulnerability because it allows an attacker to bypass authentication and download the user database file. Attackers decrypt this file and then use one of the username & password combos to log into a remote device and make OS settings and run various scripts. For the past five and a half months, the vulnerability has been mainly used to plant cryptojacking scripts on outdated MikroTik routers [1, 2] and to hijack DNS servers and later redirect user traffic towards malicious sites [1, 2]. This wouldn’t be an issue, but MikroTik is one of today’s most popular router brand. There are over two million MikroTik routers around the globe. Security researcher Troy Mursch told ZDNet today that of the millions of MikroTik routers currently connected to the Internet, over 420,000 show signs they’ve been infected with cryptocurrency-mining scripts. Speaking to ZDNet today, Ankit Anubhav, a security researcher for NewSky Security, has also indicated that DDoS botnet authors have also been trying to infect and corral these devices under their control, but failing. “The usual IoT blackhat botnet factory is basically clueless about the exploit, and how it can be deployed for a proper functioning botnet,” Anubhav said. Things became even worse for the MikroTik community this past week after Tenable researchers released a new exploit named “By The Way” for the original CVE-2018-14847 vulnerability. This spurred new interest from the botnet community. But the reason why Alexey was able to “clean” over 100,000 routers is because none of the hacker groups currently abusing MikroTik routers appear to perform basic hygiene. “The attackers are not closing [device ports] or patching the devices, so anyone who wants to further mess with these routers, can,” Anubhav told ZDNet. Fortunately, Alexey has been doing this clean-up on some users’s behalf. But technically speaking, Alexey is on the wrong side of the law. Despite his good intentions, it is illegal to access another person or organization’s equipment without consent. Alexey’s vigilante spree may be illegal, but he is definitely not the first. In 2014, a hacker accessed thousands of ASUS routers and planted text warnings inside computers with shared folders and hard drives that were located behind those routers, warning users to patch their ASUS device. In late 2015, a team of vigilante hackers going by the name of the White Team launched the Linux.Wifatch malware that closed security holes on a variety of Linux-based routers. At one point, the White Team’s botnet became so big it battled with the botnet of the infamous Lizard Squad team for the title of the Internet’s largest botnet. In 2017, a more devious vigilante hacker named The Janit0r deployed the BrickerBot malware that erased firmware or bricked IoT devices that had not been updated. Also in 2017, a hacker made over 150,000 printers spew out a message to their owners to raise everyone’s awareness about the danger of leaving printers exposed online. In 2018, another vigilante renamed tens of thousands of MikroTik and Ubiquiti routers to “HACKED” and other messages to get owners’ attention to update their devices. Mursch told ZDNet that he doesn’t believe the MikroTik situation will get better any time soon. The reason is that many of these devices are not routers placed inside users’ homes, but are so-called “edge” devices, often part of an ISP’s internal infrastructure, such as routers placed in ISP boxes left inside apartment complexes or on street poles. Another source in the infosec community who spoke to ZDNet but did not want his name shared for this story confirmed that Alexey’s vigilante efforts have also touched edge routers, not only those found in people’s homes. “Ironically, by cleaning some ISP routers he might get the ISPs to act and fix everyone’s routers as well,” the unnamed researcher told us. As for MikroTik, the Latvian company has been one of the most responsive vendors in terms of security flaws, fixing issues within hours or days, compared to the months that some other router vendors tend to take. It would be unfair to blame this situation on them. Patches have been available for months, but, yet again, it is ISPs and home users who are failing to take advantage of them. 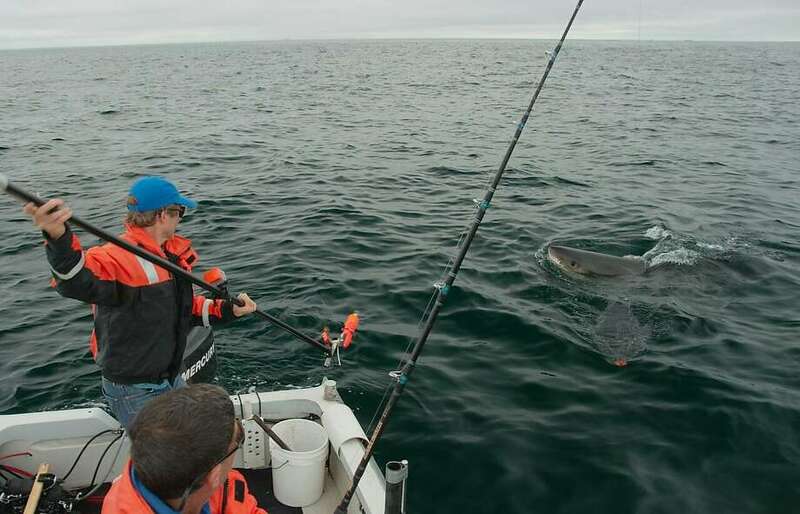 Salvador Jorgensen, a research scientist with the Monterey Bay Aquarium, tags a shark off the coast of California. A great white shark swims near the Farallon Islands. 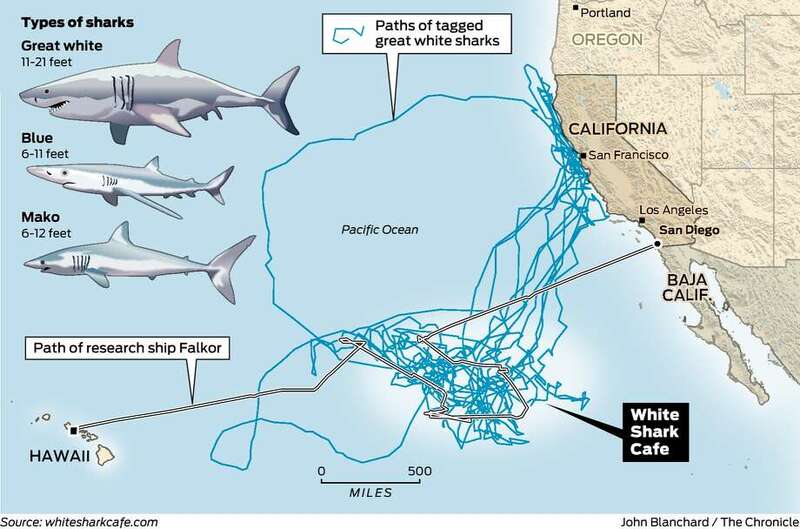 Scientists have discovered that the fish migrate in winter to a region in the Pacific Ocean that’s been dubbed the White Shark Cafe. , was colored by an undiluted garment dye intended for clothing. The dye masked abrasions and deep bite marks. side of the Golden Gate Bridge along the south approach to the span. Motorists traveling south began informing toll collectors. Patrols were not able to reach the deer to divert it away from the roadway before it proceeded into the southbound lanes. Traffic was immediately halted in both directions. The deer safely exited the roadway into Presidio property before reaching the MacArthur Tunnel. On May 13, 2014, a cat saved a young boy’s life when he was attacked by his neighbor’s dog in Bakersfield. in Sonoma County on Dec. 28, 2015. An alligator found in Alameda Creek near Fremont was deemed a public danger, then shot and killed on August 16th, 2016.
at the southern end of the bridge. A second ostrich did not get out. The driver got of the minivan to retrieve the bird as it headed south toward the toll plaza. The minivan was driven off the bridge by the passenger after the owner got out. You get used to seeing strange things when you live in San Francisco, but every now and then you really have to do a double take. A man brought his pet goat onto Muni on July 6, 2016. In May of 2014 this Chihuahua was rescued off of the center median of I-680 in Walnut Creek. The dog was eventually reunited with its family. using a fireboat from the Vallejo Fire Department in Rio Vista, Calif. on May 25, 2007. The whales initially responded to the spray from the boat, but, fearing they may get used to the activity, the operation was suspended after about an hour. , catches a nap with his friend Fluff Ball. Strangers would frequently mistake the cat for a wild animal and alert Spock’s owner.
. The baby swans were born to the couple who live at the lake surrounding the Palace of Fine Arts despite earlier efforts to lower the swan population. of four pups — all named after “Downton Abbey” characters. after it apparently lost its way, tried to cross a street in Fremont and eventually waddled into the front yard of a home. turned up at the front door of a Hayward ironworks shop on Jan. 20, 2016.
when she was crushed by a door in her enclosure in November 2015. The San Francisco Zoo was fined $1,750 for her death by the U.S. Department of Agriculture. on Almaden Valley in San Jose. to categorize digitized slides and mammograms of benign and malignant human breast tissue. Eleven people have been killed by sharks off the California coast since the first documented attack on a human in Pacific Grove in December, 1952. The body of a probable 12th victim was never found, so he isn’t counted. Sources: Stanford University’s Hopkins Marine Station; Monterey Bay Aquarium; Schmidt Ocean Institute; National Oceanic and Atmospheric Administration.